Catalog Page 17. Custom 10", 12" and 16" bears with T-Shirts and Hoodies. 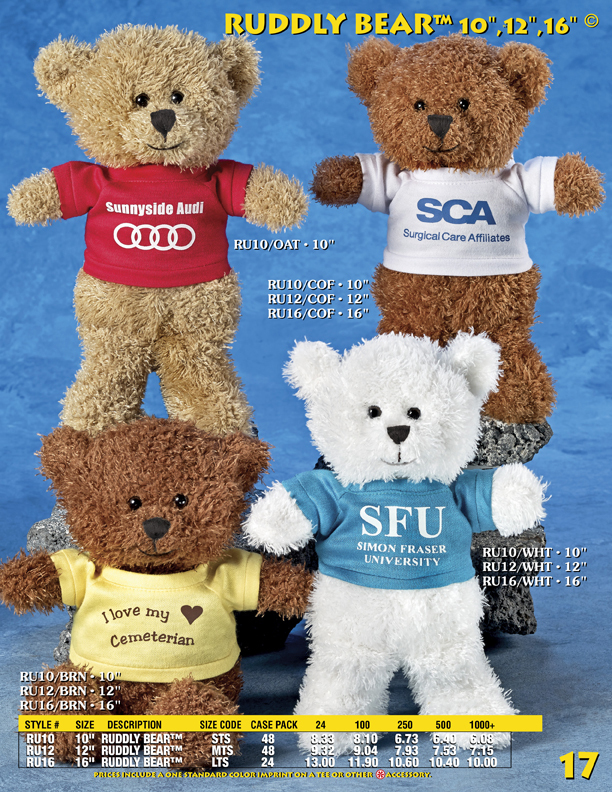 Promotional bears.